The perfect way to try all of our most popular items. 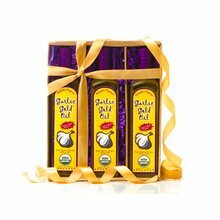 A 3-pack Oil Gift Box and a Garlic Gold Nugget sampler, so you can try all of our favorite items at one time. Keep them on hand, or share them with a friend. 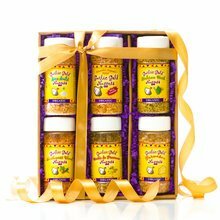 The perfect way to try all of our most popular items. 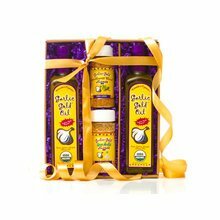 A 3-pack Oil Gift Box and a Garlic Gold Nugget sampler, so you can try all of our favorite items at one time. Keep them on hand, or share them with a friend. 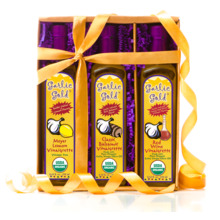 The perfect combination of the Gourmet Garlic Experience. 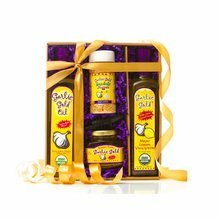 Package includes 3-pack Oil Gift Box and Garlic Gold Nugget Sampler (1 bottle of Garlic Gold Nuggets, Garlic Gold Southwest Nuggets, Garlic Gold Italian Herb Nuggets and Garlic Gold Sea Salt Nuggets).